The fulfillment of these prophecies began in the late 19th Century through the efforts of a Hungarian Jew named Theodor Herzl (1860-1904). He was an intellectual who was serving as a Viennese journalist when the infamous Dreyfus Affair occurred in France. When the accusation of treason was levied against Dreyfus, the popular press jumped on the band wagon and decided to spotlight the case as proof of Drumont's case against the Jews. They proceeded to whip the general public into a frenzy. Herzl was sent to Paris to cover the trial for his newspaper. When he arrived, he was shocked by Parisians shouting, "Death to the Jews! "4 He suddenly experienced an epiphany in which he realized that the Jews had not been assimilated into European society, as he had assumed. Further, he realized they never would be. He sensed an even greater persecution to come. This realization prompted Herzl to write a brief political booklet called The Jewish State, which was published in 1896.5 In it he called for the return of the Jews to their homeland and the creation of their own state. He argued this would be the best cure to anti-Semitism. His most famous sentence in the book was, "If you will it, it is no dream." The booklet captured the imagination of Jews all over the world, and it produced the First Zionist Congress, which was held in Basel, Switzerland in 1897. During that conference, Herzl wrote in his diary that he expected the Jewish state to come into existence within 50 years.6 That statement proved to be prophetic when the United Nations voted 50 years later in 1947 to create a state for the Jewish people. 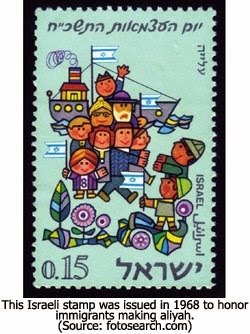 Another result of Herzl's call for a Jewish homeland was a series of what the Jews called aliyahs.7 These were groups of Jews who decided to pull up stakes in Europe and move back to the land of Palestine, as it was called then, in order to pioneer the land and re-establish a strong Jewish presence. In the third segment of our series on the prophetic fulfillment of the regathering of the Jewish people, we'll explore the main motivation behind the Jews return to Israel. 2) The Jewish Encyclopedia, "Drumont, Edouard Adolphe," www.jewishencyclopedia.com/articles/5336-drumont-edouard-adolphe. 3) Wikipedia, "La France Juive," http://en.wikipedia.org/wiki/Jewish_France. 5) The original title was Der Judenstaat (German for "The Jewish State"). It was published in 1896 in Leipzig and Vienna. Its subtitle was "A Proposal of a modern solution for the Jewish question." 6) Unsigned article published by the Zionism and Israel Information Center, "The Jewish State - 1896: Theodor Herzl's Program for Zionism," http://zionism-israel.com/Joshua/Jewish_State.html. 7) Jewish Virtual Library, "Immigration to Israel: The First Aliyah (1882-1903)," www.jewishvirtuallibrary.org/jsource/Immigration/First_Aliyah. html. 8) Jewish Virtual Library, "The Balfour Declaration: Commentary on the Declaration," www.jewishvirtuallibrary.org/jsource/History/balfour_commentary.html.